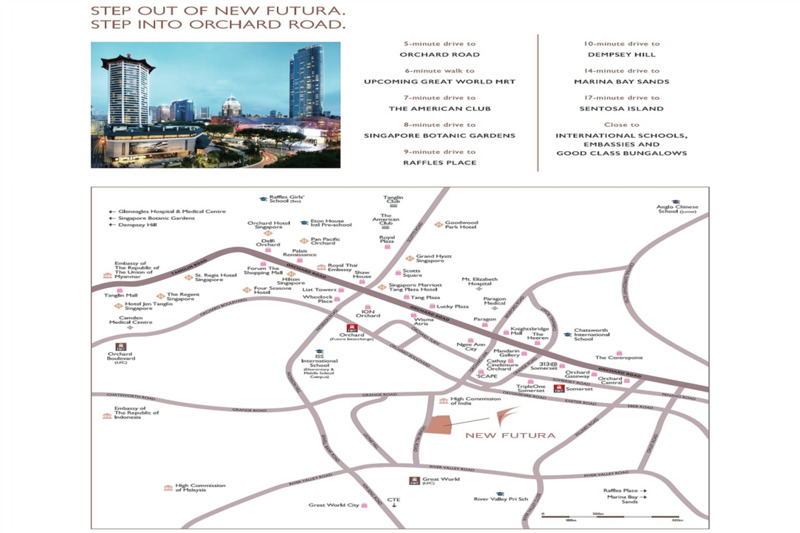 New Futura, a freehold condominium, is situated at prime District 9, along Leonie Hill Road. Developed by City Development Limited, the two 36-storeys towers include 124 residential units. 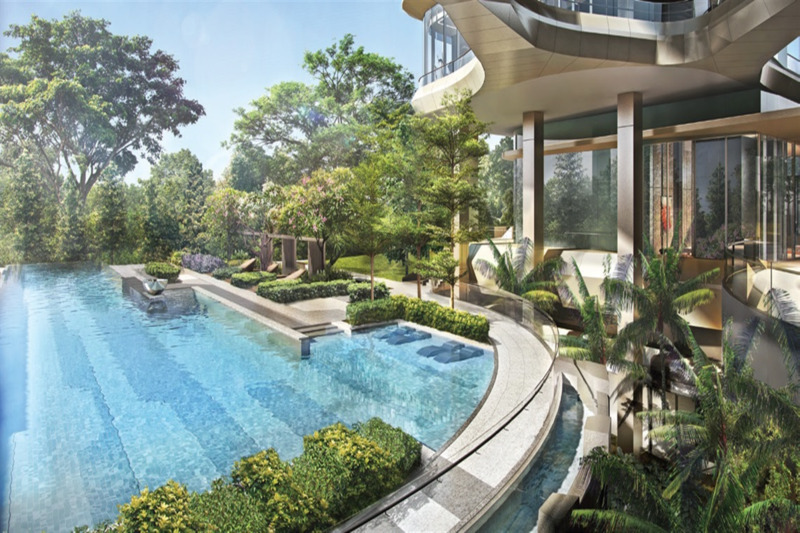 Nearby amenities incorporates Orchard Shopping Belt containing shopping malls like; ION Orchard, Wisma Atria, Ngee Ann City, Wheelock Place, Scotts Square, and so on, without an exception of clubs like; The American Club and The Pines Club. 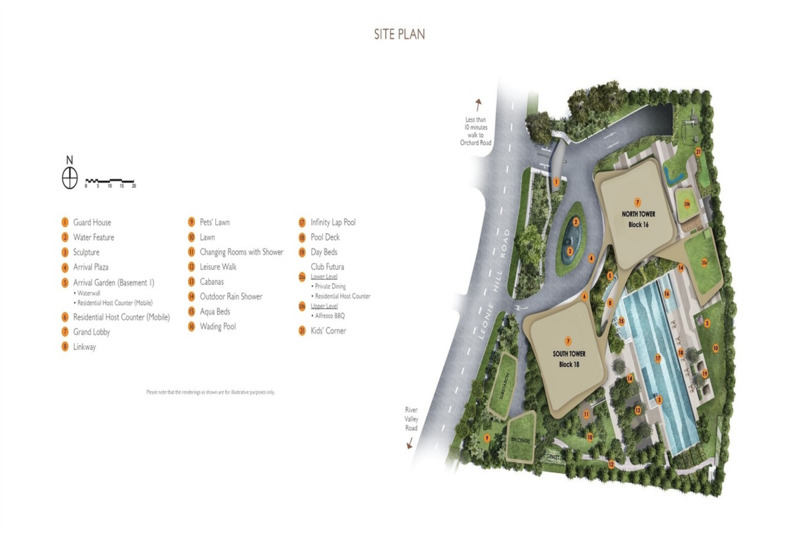 Other nearby green spaces incorporates Hong Lim Park, Tanglin Golf Course and Fort Canning Park. New Futura is easily accessible to any part of Singapore via major expressways, for example, Ayer Rajah Expressway (AYE), Central Expressway (CTE) and East Coast Parkway (ECP). The Central Business District (CBD) is just a couple of minutes’ drive away. Also, nearby MRT stations include Orchard, Great World City and Somerset MRT Stations. The future expansion of the Orchard MRT is only one road away from New Futura. Esteemed schools such as the Singapore Management University (SMU) and Nanyang Academy of Fine Arts (NAFA) are likewise found nearby.